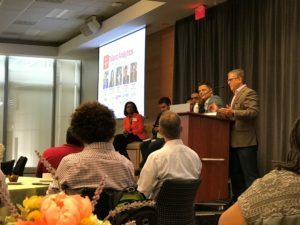 firstPRO 360 attended a “Talent Analytics” event presented by Technology Associate of Georgia (TAG) on Tuesday morning. Panelists from companies such as Coca-Cola, Career Builder, RentPath and others focused on how Data Science and Analytics are disrupting and evolving how companies make employee hires. Among the topics discussed was how Data Science / AI and Machine Learning can help solve problems revolving around talent recruiting, engagement and employee retention. The consensus among the panelists was that Data Science and Analytics is just scratching the surface in regards to hiring practices and the future holds some very exciting opportunities for all things Talent Analytics. Members give a very informative presentation on recruiting analytics. 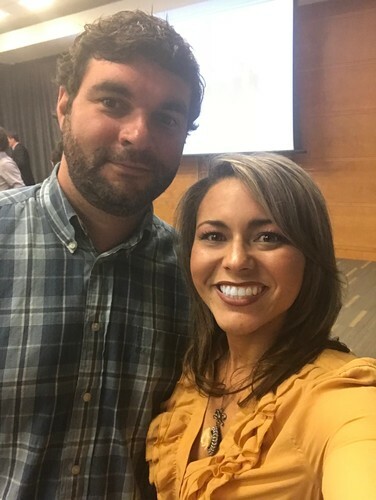 Thank Rachel Barre (IT Account Executive) & Adam Piede (IT Recruiting Team Lead) for representing firstPRO 360!